(95 Km.) 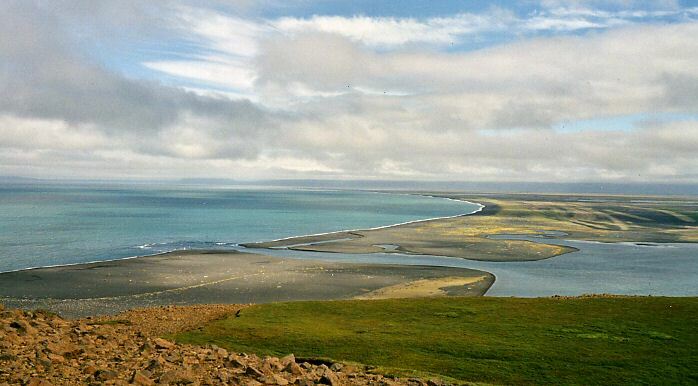 Húsavik: It is the capital of whale watching in Iceland. The "whale center" is an opportunity to learn about the history of the whales in Iceland and the incredible variety of whales living around the island. From the port of Husavik several trips depart daily from a boat to spot the whales, with a success rate of finding very high. In the population highlights the Húsavíkurkirkja, the wooden church built in 1907. (91 Km.) Hljódaklettar: It is an area with vegetation on the western side of the ravine of glacial river Jokulsá in the Jökulsárgljúfur National Park. Is adorned with beautiful hexagonal shaped basalt formations, streams and waterfalls. It is a lovely hiking area between the cliffs and Mt. Thorunnarfjall. Many people continue south to Dettifoss. The rosettes of basalt are very striking and are radially distributed in basalt columns with hexagonal shapes. (23 Km.) 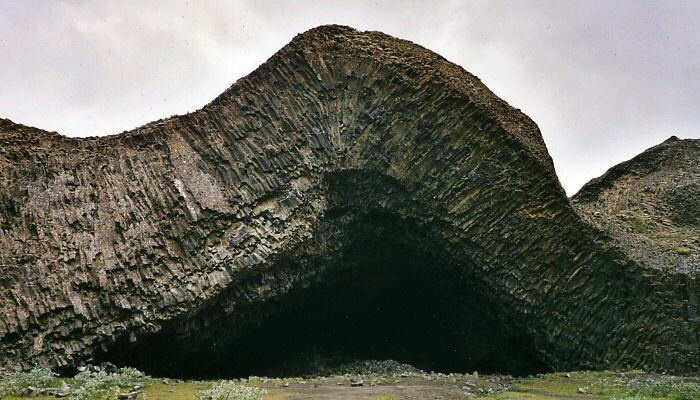 Ásbyrgi: Is another of the geological accidensts in Iceland. Many geologists believe was created by a devastating flood of the river (after an eruption in Vatnajökull that much melted ice) that carved the gorge now occupied by the Jökulsá á Fjöllum in a few days. Ásbyrgi took several years to take its current size. This theory is questionable (the force required to cut this huge training in such a short period of time would have been terrifying), but recent experience of Iceland with massive floods of this river, he suggests, however, that the theory is not entirely outlandish. The traditional explanation is quite different: it was created when Sleipner, the horse of Oðin, hit one of his feet with the ground. Measure a mile wide and three miles long. Her mouth is divided by a plateau called Eyjan ( "island") and the sides of cliffs measure at least 100 meters high. 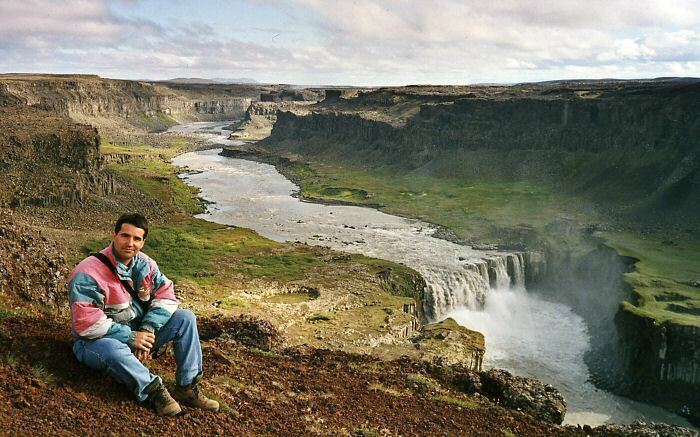 Iceland is also unusual because it has trees taller than people. Ásbyrgi to the bottom of a small lake with ducks called Botnstjörn. (33 Km.) Hafragilsfoss: This cascade of 27 meters high, is the younger sister of Detifoss. It is the last of the three waterfalls that are in the Jökulsárgljúfur Canyon National Park, near the Detifoss and Selfoss (13 meters in height). (5 Km.) 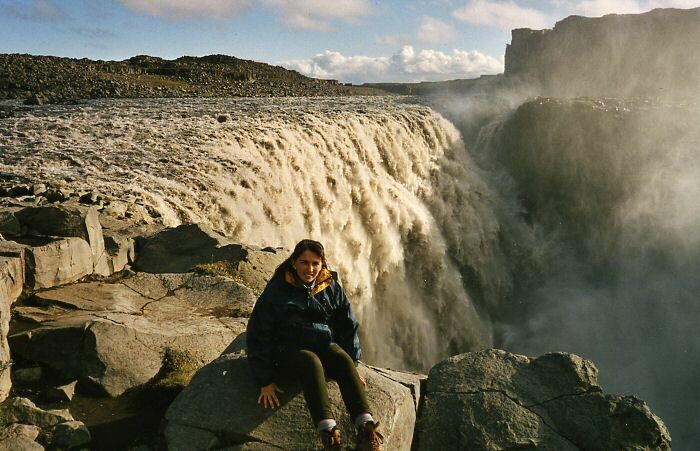 Detifoss: It is the waterfall with more flow in Europe. Was named as the "Niagara of Europe". The sediment-filled river roars along its rocky course until it suddenly drops from 44 meters in height, creating a cloud of water spray that rises towards the western wall of the canyon. (183 Km.) Seyðisfjördur: We came to sleep in this village in the fjords of the East and that is the point of entry to Iceland for travelers who arrive by ferry from Norway, Denmark or the Faroe Islands.